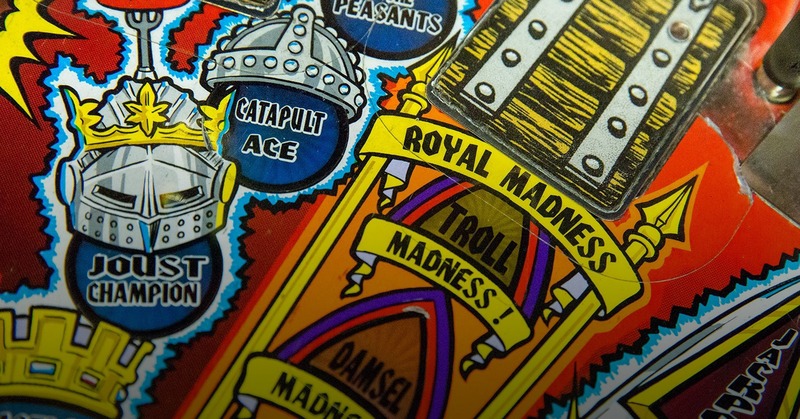 From its surprising origins to tips on becoming an unstoppable player, we break down everything you need to know about the iconic analog glory of pinball. These days the entertainment landscape has shifted to all-digital all-the-time, and it can leave a person thirsty for a real world waste of time. Pinball is one great solution to getting yourself out into meatspace and it’s seen a resurgence of popularity in the last few years. Players find each other in leagues. Bars have been hunting down some of the most sought-after machines. Museums are dedicated to the benchmark designs of the industry. High-tech innovations have been added to keep the silver ball in the modern age. Hopes&Fears spoke to Josh Sharpe (ranked 4th best player in the world), Dan Toskaner (from the Silverball Pinball Museum) and more, to find out everything you ever needed to know about one of the most enduring games of the 20th century. What are the greatest machines ever made? Where did pinball come from? Where is it going? Why shouldn't you flip both flippers at the same time? Here it is, your ultimate guide. Although it's seen mostly as an American pastime, its origins stretch as far back as eighteenth-century France with the game Bagatelle. Bagatelle itself was descendent of lawn bowling games and indeed began as a game where players would nudge balls with a cue stick down a wooden board. Balls would hitpegs or fall into pockets to score points. Eventually, pegs would be replaced by brass pins. 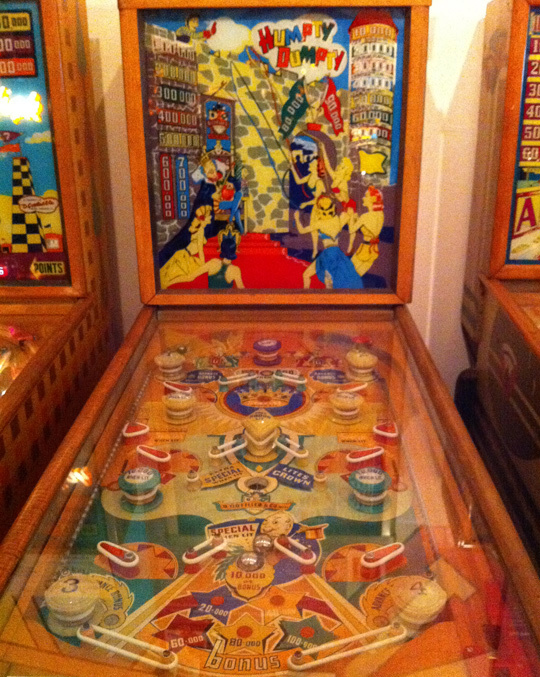 In the 1930’s the improved Bagatelle’s slowly began to be called Pinball machines. One of the most famous from the era was David Gottlieb's Baffle Ball, 1931, which was the first to introduce coin-operation. Pinball came to be considered a game of chance, especially prior to the introduction of flippers. Because of its association with gambling it was outlawed in most areas of the United States until the mid-1970’s. In January of 1942, New York City’s Mayor Fiorello LaGuardia took a sledgehammer to seized pinball machines in a theatrical press event. He told reporters that pinball machine pushers were "slimy crews of tinhorns, well dressed and living in luxury on penny thievery," and the game was part of a broader 'craze' for gambling. Associations with rebellion in popular culture took hold and its anti-authoritarian symbolism was used in iconic form by The Who’s rock opera Tommy, Happy Days' The Fonz and many others. In May of 1976 in New York City, Roger Sharpe demonstrated that pinball was not a game of chance and it would subsequently be legalized in New York City. Sharpe and other aficionados of the game organized a meeting with representatives of the city to prove that it was a game of skill. Famously, as the story goes, two machines were brought to the demonstration just in case the first one broke down. Suspecting foul play on the part of the pinball players, one councilman demanded they use the second machine instead of Sharpe’s primary choice. Sharpe did not know this machine as well and largely had to wing it. With only one ball remaining and nothing else left to do, he knew he had to take drastic measures. Just like Babe Ruth pointing into the bleachers, he ‘called the shot’ describing exactly where he wanted to ball to go and then launching it there. After that shot, the NYC representatives re-legalized pinball almost immediately. Following its legalization the game became a staple of the arcade scene. Although it would only be a few years until pinball was forced to compete with the rise of console gaming and its popularity slowly began to decline. As of today, Stern’s is the only company still around that contributed to the evolution of the game and it continues to be at the forefront of pinball design. Both Williams and Bally shuttered their pinball divisions by the end of the 90s. Additionally, a smaller company, Jersey Jack, has taken it upon themselves to “bring pinball into the 21st century” by incorporating LCD screens and other technical advancements. THE DESIGN HAS ALWAYS BEEN AN INTEGRAL PART OF THE GAME of pinball from its early days as a purely mechanical game to now when most of what goes on under the hood is digital. Along with these advances in technology the game itself became increasingly complex adding not only more playfield elements but narratively integrated point scoring systems. The machines from pinball’s earliest days look downright tame compared to what is being designed today. Most games had carnivalesque designs with only a handful of bumpers and some lights. In the early 1930’s, Gottlieb Games added coin operation and later that decade Williams added battery powered electricity. Along with modernizing pinball, making the game electric allowed the company to curb the cheating behavior famously known as tilting. Tilting could now be detected and could end the game immediately if it was done with too much force. Shockingly, electricity was added to the game before flippers which wouldn’t arrive until 1947. The flippers on most early machines were much shorter, however, and didn’t provide as much action as they do now. In fact, the flippers weren’t even situated at the bottom of the machine. In the first game with flippers, Humpty Dumpty, they were distributed throughout the playfield and faced outward instead of inward. World Championships are the most renowned pinball event of the year. Players from all around the globe convene in Scotts Township, PA (right outside of Pittsburgh) at a warehouse filled with pinball machines new and old to challenge each other to become the next pinball champion. PAPA was originally founded by pinball stalwarts Steve Epstein and Roger Sharpe at their legendary New York institution, Broadway Arcade in the late 1970s. After being host to several tournaments and racking up several thousand hours of play, they relinquished control to Kevin Martin who continues to host the largest pinball tournaments in the world today. It was in the 1970s, with the introduction of solid state electronics, that the game started becoming increasingly complex. Digital displays were added to show player’s scores and circuit boards replaced electrical relays to control playfield elements. From the late 70s straight until the early 90s pinball had steep competition with the rise of video arcade games. Despite the competition, and perhaps because of it, many designers were forced to become more creative in their designs. It’s likely for this reason that the most iconic and well-known machines in the history of pinball were ultimately created in the early 90s. Designers such as John Trudeau and Pat Lawlor made games that continue to be sold and collected throughout the world. 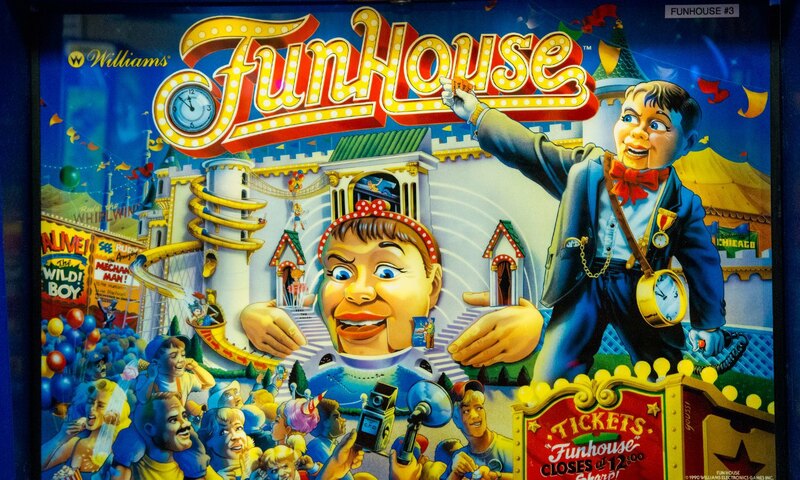 The latter developed perhaps the three most famous machines ever made: Addam’s Family, Twilight Zone and Funhouse. Addam’s Family became the best selling pinball machine of all time selling over 25,000 machines. The games from this era became increasingly complex. Many features were added in the 80s and early 90s including ramps, mini playfields, animatronics and magnets. In Addam’s Family, an automated hand could grab the ball from the playing field and launch it back into the game with additional balls. Playfields and game mechanics began to be designed around familiar movies, books and musical artists. Jackpots, free balls as well as the iconic dot matrix animations would all contribute to a larger story arc contextualized within the aesthetic of each licensed product. As video games became more and more advanced, pinball's popularity continued to decline. Capcom, Gottlieb and Williams Bally all closed in the mid to late 90s, leaving only Stern Pinball in their wake. Before closing for good Williams attempted to advance pinball further with their pinball 2000 engines. It was a clear attempt to compete with video game culture by blurring the line between screen animations and the board itself. It was too little too late, however, and the gaming company soon closed for good. Stern continues to produce both licensed and original systems to this day offering even more advanced systems than ever before. They made a huge splash at this year’s Consumer Electronics Show to showcase their new SPIKE System technology in their latest WWE Wrestlemania game. 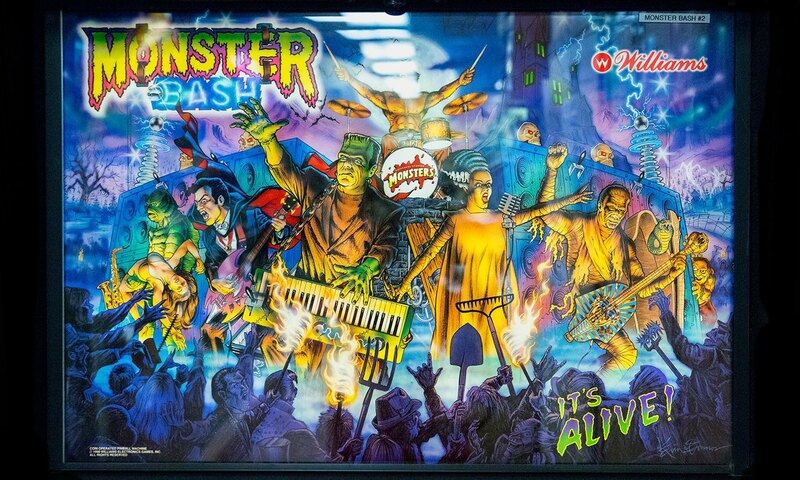 Pinball continues to have a vibrant competition culture both locally and internationally. There are leagues all over the country in cities like New York, San Francisco and Las Vegas. Women’s only tournaments and leagues are also popular. One of the things that come up a lot is how much it can be a game of skill when, as pinball’s oft-used tagline goes, ‘the ball is wild’. Yes, a large part of what keeps the game interesting is that as much as the game can be mastered the ball can still drain at any moment. As inevitable as this is, a player can gain at least some control over when and how this occurs. Was founded and is still run by Roger Sharpe and Steve Epstein and is still run by Roger's sons Josh and Zach. In fact, ranks over 30,000 players in 45 countries. The current highest ranked player in the world, based on the association’s scoring system, is actually from Stockholm, Sweden. Below him is the highest ranked American, and the winningest player in pinball’s history Keith Elwin. IFPA’s rankings are designated according to how many points each player accrues over four years of play. Their ‘rolling’ system functions to show who is the current best player according to the most recent points-earnings and competition participation. On the International Pinball Database several ‘moves’ are listed under the heading ‘Skills For the Advanced Player’. These include the Hold Pass, The Chill Maneuver, The Bounce Pass and Repeating the Angle. A professional player skillfully handles seemingly random ball movement similarly. As much of the game takes place on the so-called "playfield" the body of the machine itself is just as much a part of the game and how it is played. Everyone has heard the term tilt but there is much more nuance to the concept than most people are aware. The term designates when a player has shaken or moved the machine too much in an effort to manipulate the game. Sensitivity varies among machines and can actually be calibrated. Technically players are allowed to physically move the system but they can only do it without ‘tilting’. Some machines have a three strikes and you’re out system policy; with others it’s one shake and game over, man. This method of moving the body of the machine gently enough to manipulate the ball without tilting is another variable that can be mastered by a professional player. It also accentuates the relationship between a person and the machine they are playing on. Knowing its feel intuitively and moving along with it as if performing a dialogue or a dance. There are 32,105 players currently ranked in 45 countries. The biggest surprise country where pinball has a huge following is Sweden. They have 917 players ranked, but they only have a fraction of the population of the other countries in which pinball is popular. Sweden is also home to the last two IFPA World Pinball Champions. Watching players interact with a pinball machines is often like watching a dance. Many will gesticulate their bodies, spasm, or move fluidly with each snap of the flipper. They are very much engaging physically with the machine in an effort to make it do what they want. Players develop a flow that is channeled into action and performance. A relationship emerges between the player and the machine they master as they continue to learn its system. Just like any competitive game or sport there is an entire culture surrounding the circuits, leagues and tournaments annually. PAPA has YouTube and Twitch TV television shows and regularly broadcasts live coverage of the tournaments that take place throughout the country. Pinball machines are equipped with a series of cameras to let spectators view a POV of the full playfield, the backboard displaying the player’s score and a side profile of the player at the machine. Commentators will offer their thoughts and reactions to each game as well, although it’s more like the hushed whispers of golf commentary than the ecstatic play-by-plays of soccer announcers. Belles & Chimes is the world's first women-only pinball league. It was founded in 2013 by Echa (just Echa) in Oakland, California. Since then women-only groups have popped up in Seattle, New York, Pittsburgh, Austin and Toronto. In 2013, open tournaments in Northern California averaged 14% women players. In 2014, it was 24%. Outside of just competitive play, more and more players are gravitating towards it again as machines appear in public places such as bars in major cities. Barcade continues to expand its franchise as it grows in popularity for its mix of old games and craft beer. 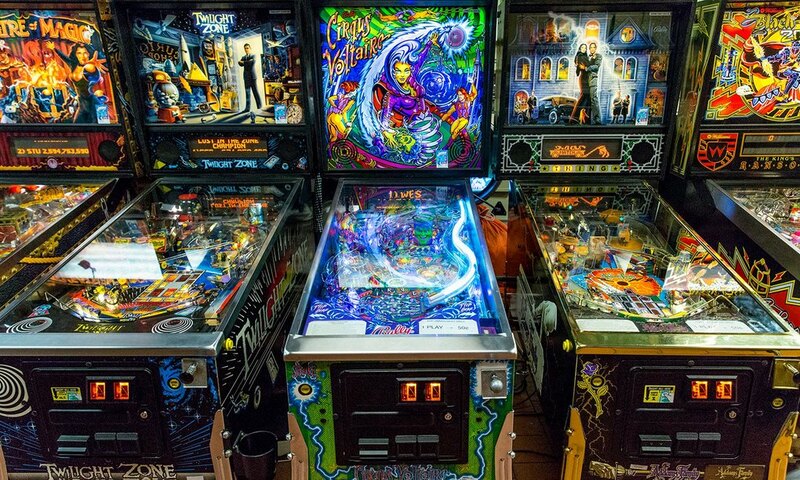 New York’s own Modern Pinball, co-owned by original Broadway Arcade founder Steve Epstein and Steve Zahler is a popular destination for tourists and locals a like. Women also are an increasing presence in the pinball community. "Since we started in 2013, women-only pinball groups have popped up in Seattle, New York, Pittsburgh, Austin, Toronto," Echa, founder of the first ever women’s only league Belles & Chimes, explains. "I also know players talking about forming women's leagues in Cleveland, Denver, and Los Angeles.” Despite this presence pinball machines like Whoa Nelly continue to be developed using sexualized depictions of women for their designs. Digital and video game pinball offers a different way of experiencing the game that couldn’t necessarily be offered in the physical machines of the past. However, as Stern and Jersey Jack continue to advance the game and people’s expectations are influenced by these experiences, it’s possible we’ll see more innovations in game design. What would an oculus rift pinball experience look like? The common term used to refer to the area beneath the flippers. If the ball rolls into the drain area via an outlane or between the flippers, it will be lost. Also refers to the act of losing a ball in this manner. An upright, pressure-sensitive rectangle that drops below the playfield when hit by the ball. Drop targets are often arranged in so-called banks, and may require being hit in combination or in sequence to score or light special features. A feature that allows the player to activate a magnet located just below the entrance to an outlane. A ball headed for the outlane will be held by the magnet and diverted to the corresponding inlane instead. Williams Electronics pioneered this feature on the Black Knight game. Most recently, a small New Jersey company called Jersey Jack is hoping to push pinball even further into the present with its computerized gaming systems. 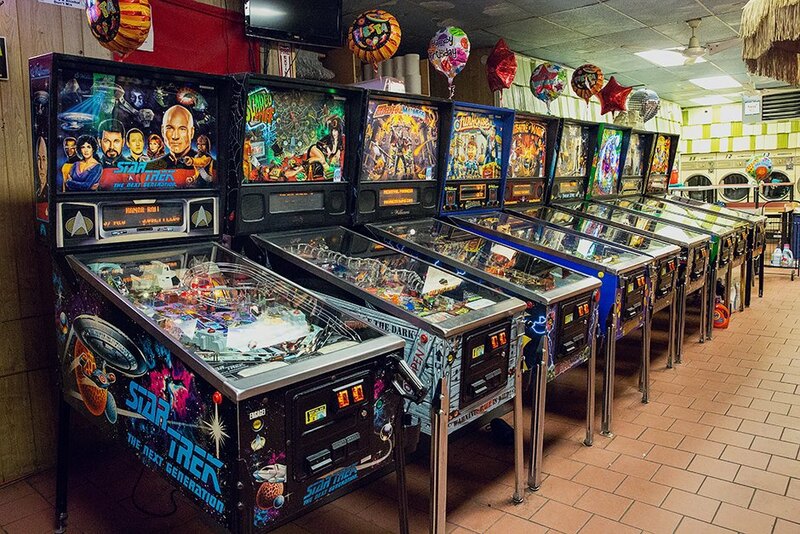 Although pinball has always been a sensory experience, Jersey Jack’s founder Jack Guarnieri has said in interviews that he is looking for sensory overload. If there is any way to make pinball a contemporary gaming experience in this digitally mediated world overstimulation seems to be the best way to go about it. The company only started production in 2014 and they’ve released The Wizard of Oz as well as The Hobbit. The games dispose of the classical dot matrix display for a full-on HD LCD monitor showing custom animations inspired by the film. 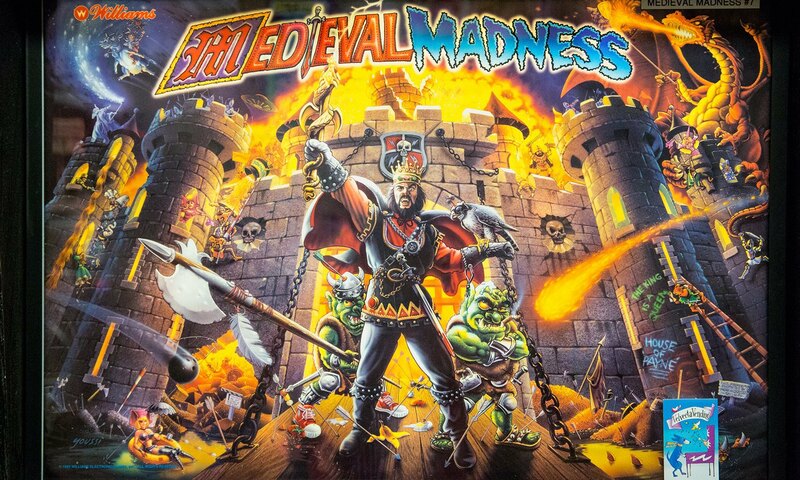 While Stern’s advances in pinball are more under the board, Jersey Jack believes the game must become more like these competitors if it ever stands a chance of being popular again. Nonetheless, both companies are taking a digital approach to transforming what pinball looks like. It also doesn’t seem that crazy to think of people sharing and 3D printing their own pinball game designs as well. Games would be more modular and transformable where builders could add and remove whatever elements they wanted on their playfield. Josh Sharpe says “people can [already] update the software on their machines via a USB thumb drive,” allowing games to be updated or changed “years after they’ve been released”. Hobbyists could create digital models of machines on their computer and upload them to physical machines. Imagine fully modular machines with interchangeable parts and regularly updated games and software. Part of the appeal of the game today is that it offers a physical experience away from the screens that currently dominate our world. Both Sharpe and Zahler bring attention to pinball’s "realness" in contrast to video games and the digital world. This realness, for them, can’t be recreated anywhere else. Flipper action, unlike video games, lends too much variation to form patterns, Zahler says. With pinball, Sharpe explains, you are “battling a ball flying around in constant chaos, fighting gravity, while navigating through complex game rules that offer strategic opportunities” that can’t necessarily be found except in a physical experience. These are aspects of the natural world that however simulated in a computer don’t come close to the real thing. A path for the ball that hugs the outer rim of the game. Orbits generally have a slingshot effect; sending the ball into an orbit generally means it returns immediately from another. Orbits are usually referred to by their entry point, for instance, the left orbit shot on White Water is called the "Boulder Garden". A lane is in general any area of the table just wide enough to let the ball pass through. Special kinds of lanes are inlanes and outlanes; both types are situated at the bottom of the playing field. The outlanes are at the far ends and connect to the bottom (causing loss of the ball), the inlanes are next to them and connect to the flipper area. This particular form of tilt is given if the machine is nudged with such violence that it risks damaging the hardware. Such an action generally sounds an alarm and causes the machine to reset (hence voiding the credit). A slam tilt is sometimes also given if force is applied to the coin box. The tilt mechanism registers motion applied to a machine; if too much motion is applied this way, the game is said to "tilt" and the player is penalized (losing the ball in play, the bonus points or a combination of both are the most common penalties). Some EM machines void the game of a player when tilted. An exceptionally skilled player. This term comes from the 1969 rock opera Tommy, where the likewise nicknamed protagonist becomes famous, when he masters pinball. The title of the song "Pinball Wizard" quickly gained acceptance among pinball enthusiasts as an honorific. Never hit both flippers. One of the first mistakes most amateurs make is that they can’t help but slap both buttons compulsively. The gap between the flippers when they are both raised is 62mm wide but when a single flipper is raised that gap is shortened to 56.6mm. So you minimize the room for error as well as gain more control because your actions are deliberate. TILT. When a machine issues a penalty that blinks “TILT!” in big red letters that means the player has physically tilted the machine in a way that constitutes cheating. But some tilting is allowed and it’s up to the player to learn where the sweet spot is. Typically this acceptable form of the technique is called nudging. If executed correctly a little tilting can rack up a lot of points by keeping the ball in a scoring position. An important detail: tilt sensitivity can be calibrated by the owner of the machine. How much a player can tilt will vary depending on the owner's preference. Every game is different. There are almost always a number of rules, levels and modes to achieve the highest score possible on a machine. Some games even have a narrative story that the player moves along with accomplishments.In this day and age just Google the machine you’re playing. If you aren’t connected to the internet there are still options. For newer games watch the dot matrix display and do everything that it says. Similarly, many older machines have a small card on the bottom left of the glass that explains all the different ways to earn points. Every machine is different. Yes. There could be two of the exact same machine but each will offer radically different playing experiences. Choose one machine to master and stick with it. Cradle the ball. Ball control is everything. As chaotic as the ball’s movement may seem, it can be tightly manipulated. Cradling the ball is simply the act of holding up a single flipper until the ball rests and ready to be shot in the players preferred direction. Focus and choose where you want it to go. Learn to target specific elements on the playfield. Tap Pass. Once you’ve mastered cradling the ball you can move on to what’s known as the tap pass. When the ball is secured let it drift down to the center of the flipper and just give a tiny little tap. Presto! The ball is gently passed to the other flipper and ready to be aimed at your jackpot. You can see an example here. Watch others play. This should go without saying but the best way to learn is to surround yourself with people that are better than you. For an IRL experience, you could join a local league. If you want to slowly make your way in without embarrassing yourself there are lots of videos online. The Professional & Amateur Pinball Association has a lot of great resources. Get used to drinking a lot of [well] whiskey and/or Miller High Life alone. Most pinball machines reside in bars these days so drinking is a major part of the culture. But if you want to master your game, try not to socialize too much. Drink and play the game. Those drink holsters equipped to the pinball machines are there for a reason.